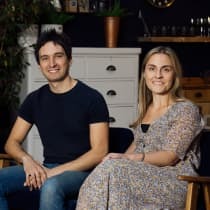 Located in Stoke Newington, London, The Restoration features an array of quality products for the home and is founded by Sophie Jones and Spud MacBain. Originally an historic ballroom until the 1970's, the space is now home to everything from vintage clocks to quirky prints and classic items for the kitchen. The boutique has become a go-to destination for home accessories with products to suit a range of interior styles, from the contemporary to the traditional. "We feel very lucky to be based in the area of Stoke Newington where it's almost all independent boutiques. It gives the high-street some real personality." Almost ten years ago, Sophie Jones and Spud McBain bought their first house. With careers in Politics and Architecture at the time, the couple found that renovating their new home was a big job that had to be done on a tight budget. 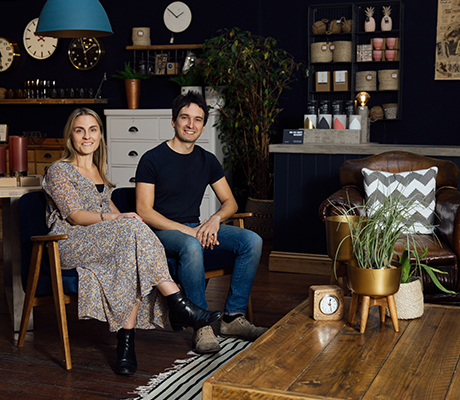 They dove into buying and restoring vintage furniture - an endeavour which began as a means of furnishing their home and now underpins the functioning behind their very own business. They have continued their love of preserving objects old and new at The Restoration boutique, where every item housed in the space tells a story.